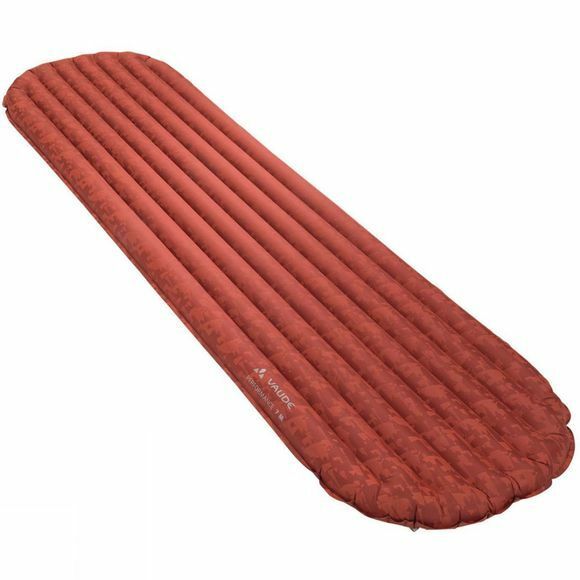 The Performance 7M Sleeping Mat from Vaude is for all those tours where every ounce counts! When packing your pack for a "fast & light" adventure, a longer trek in the outback, or a multi-day mountain tour, you know how crucial lightweight, space-saving equipment like this sleeping pad can be. A special construction in combination with advanced materials and an "egg" shaped form (183 x 51 x 7 cm) allows for very little weight without having to scrimp in comfort and warmth. The sewn-in Primaloft insulation adds that critical layer of protection from the cold ground.